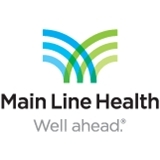 Main Line HealthCare in Audubon (Audubon) - Book Appointment Online! Dr. Vigliotta was very kind, extremely thorough, and caring. I am certain I am in good hands. The office staff and nurses were very kind and caring as well! I waited about 10 minutes or so. Lisa is awesome.